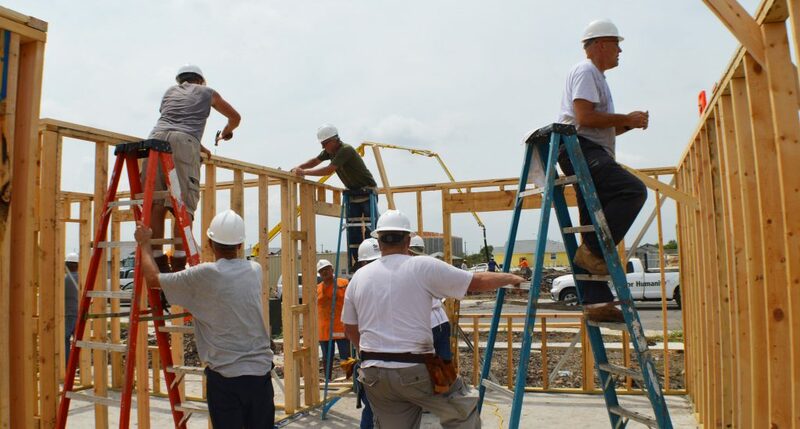 Our 2018 build began on Friday, September 7. The last workday was Saturday, November 3. 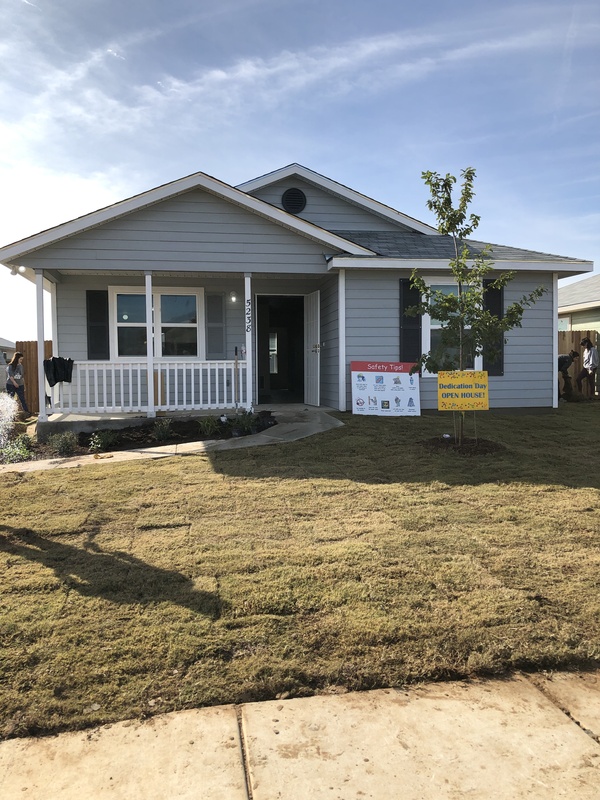 The dedication ceremony for the home was on Saturday, November 17. You can watch a video of the dedication at https://www.youtube.com/watch?v=FTJFiHDY_nM. Thank you for your very flexible support with all of the rain we had to deal with this year. 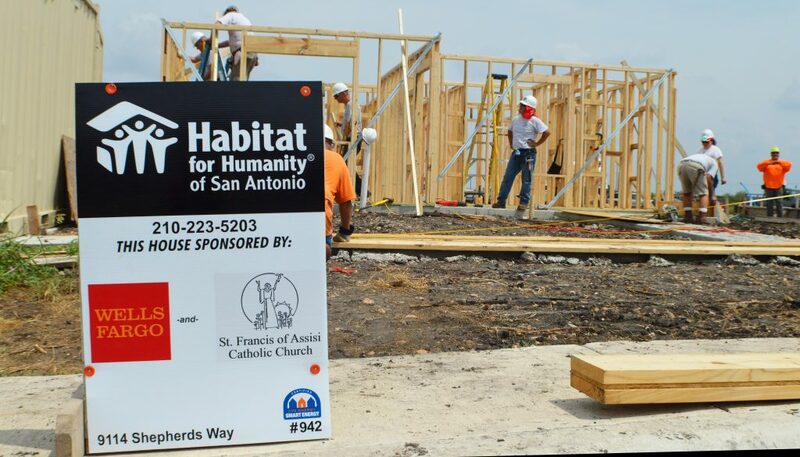 It was great working together as a parish and with the family to build this home pictured below. 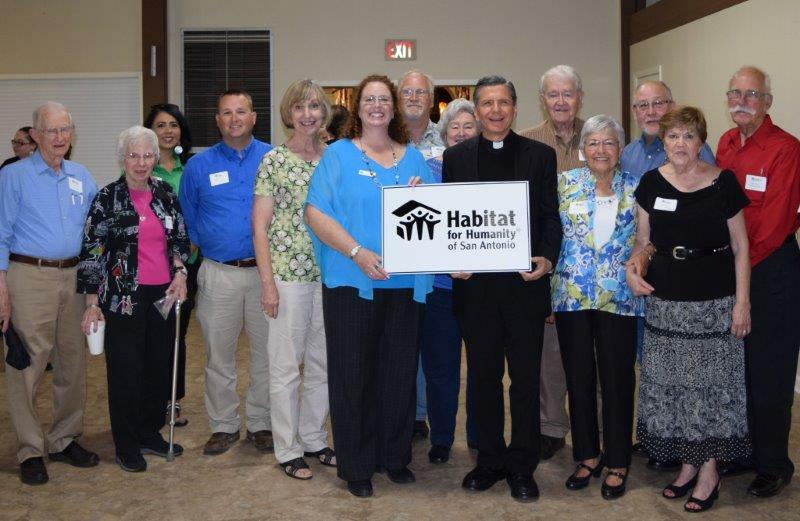 We look forward to our 21st build as a parish next fall! If you would like to sign up for non-building activities, including handling lunches, please contact Jeannie Lopez at lopezjg23@gmail.com. For more information, contact Rich Osgood at osgood@sbcglobal.net or Julie Mellin at mellinjulie@hotmail.com. Our 2019 build will begin in the fall. Many opportunities will be available to serve. 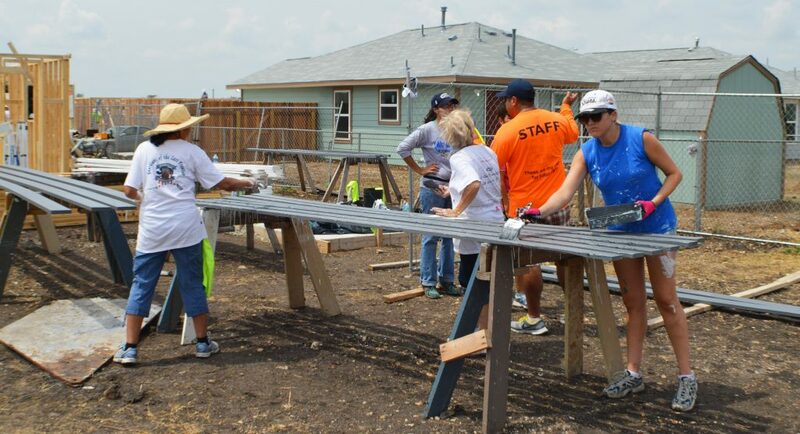 We will need people to build, paint, bring lunch, provide water and refreshments for the builders, and support our crew with their excitement and enthusiasm. 2019 build schedule coming soon. Click here to see a map of our build site. Pray Meh is a single mom who is raising four children (Bae Reh, 18; Oo Reh, 16; Bu Reh, 14; Maw Julie Meh, 7). 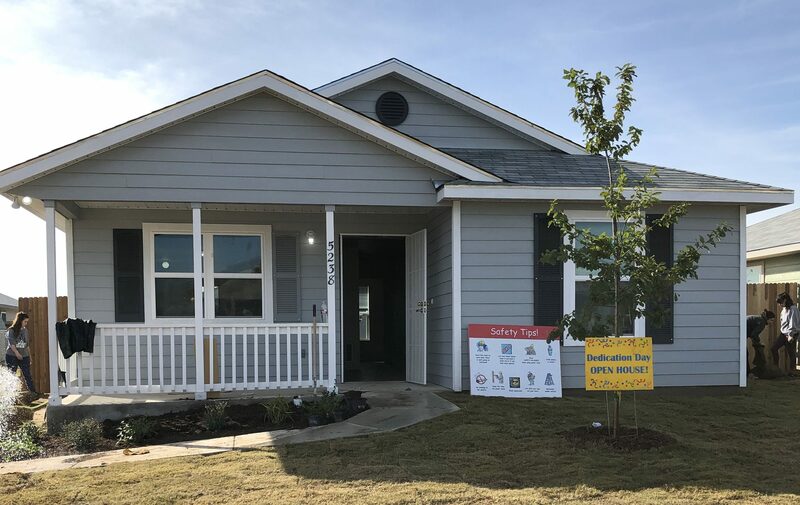 She is super excited to be a part of Habitat for Humanity of San Antonio’s home buying program and the opportunity not only to help build her four-bedroom affordable home but to also learn all about homeownership in the Homeownership Readiness Classes. Pray Reh has already completed more than 300 hours of sweat equity needed, building her home and the homes of her neighbors.